This is a fabulous brooch. It was designed by Jean Cocteau in the 1930s-50s in France. 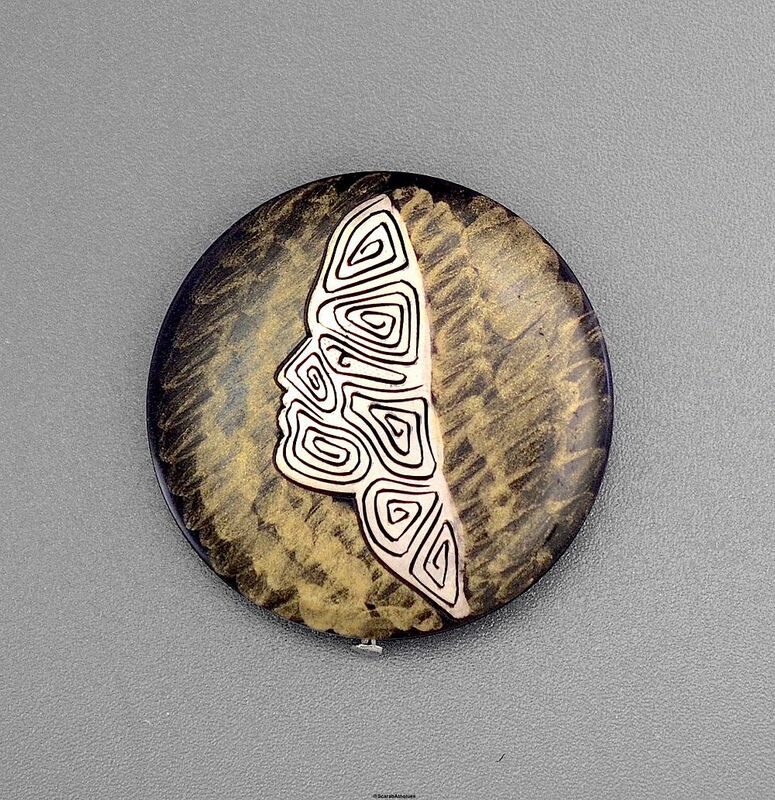 The round black phenolic brooch has been decorated with an abstract gold "wash" design in the background with a silvered head in the foreground. It has a slide fastener.